Fashion has always been a big part of my life. I have been studying textiles and patterns since childhood. What has always been important to me is quality, texture, and color. The fabrics used for Zanzibari ArtWear are designed with upcycled African Print textiles. Fabric waste from all over Sub-Saharan Africa. Utilizing waste reduction and innovative design, Zanzibari ArtWear demonstrates my eclectic journey through modern African diaspora. 10% of the proceeds collected from Zanzibari ArtWear are donated to The Seeking Amani. The annual Seeking Amani project is a Community Building art workshop, that is set in Tanzania. Zanzibari “Pemba Island Breeze” Sunglasses are wrapped with up-cycled African mixed print fabric paired with faux gold frames. Eyewear frames are cateye style with a blue mirrored tint. African fabric imported from Tanzania. Zanzibari ArtWear pieces are one of a kind and made to order. 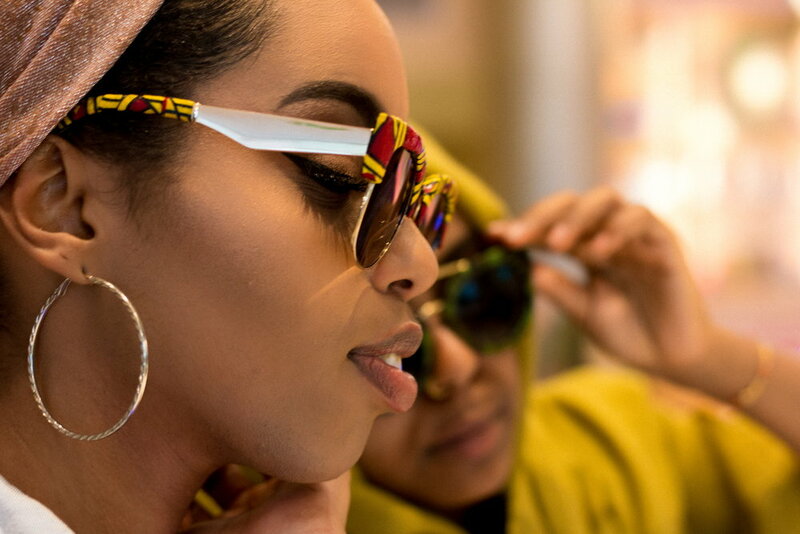 Zanzibari “Different World” Sunglasses are wrapped with Kente fabric and mix up-cycled fabric. Dual-frames of blue dark tint lens with clear eyeglasses frames, and wrapped all over the frames. Inspiration from the fashionable character, Dwayne Dwayne, from the 90's sitcom, "A Different World". Sunglasses are one of a kind and made to order. Zanzibari “Indigo Gold Shade” Eyeglasses are wrapped with up-cycled African mixed print fabric over faux gold link. Island Bamboo Earrings are afrocentric 80's throwback style earrings and fabric wrapped all over. Zanzibari ArtWear accessories are one of a kind and made to order. African fabric imported from Ivory Coast and Tanzania. "Rose Gold" Bamboo Earrings are afrocentric 80's throwback style earrings. 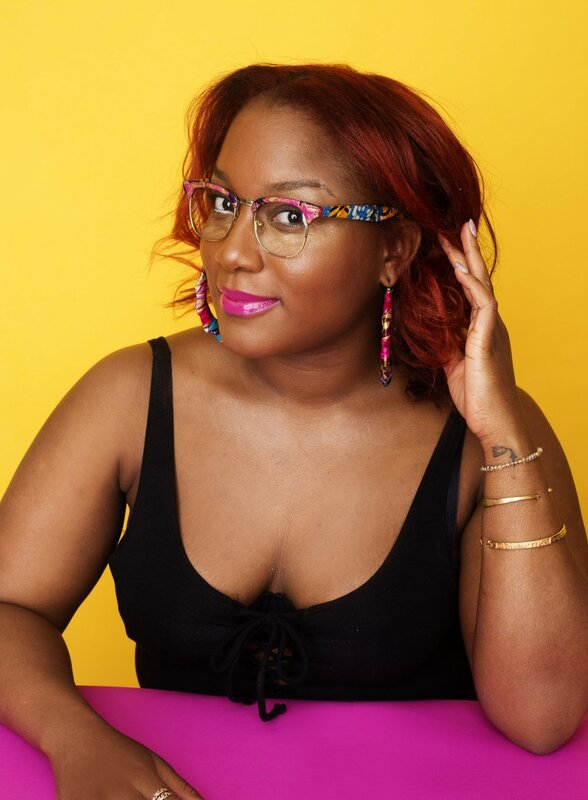 Both glasses and earrings are wrapped and designed with up-cycled African fabric from Ivory Coast, wrapped on bamboo earrings. Items are not sold as a set. Eyewear and earrings are made to order.